Girl With A Surfboard: How I got started as an artist. How I got started as an artist. A lovely client of mine recently asked me to share how I got my start as an artist and I figured for those of you starting out like me or just interested, I would share my journey. I'm not a writer so bear with me.I always thought I wanted to be an interior designer so when I went to college and figured out it wasn't just going into peoples houses and re-arranging furniture I abandoned ship. It seemed a little boring to me. I did however take a painting class in school that was inspiring so I started painting a little at home. That was the only class I took as far as art goes. Later on in life a friend who thought I was somewhat creative asked me to paint a jungle in her sons bathroom which scared me to death. She said " If you hate it we will paint over it" so I gave it a shot. I enjoyed the large scale painting and I kept in mind that "it's just paint" you can always paint over it and start over. So I eventually started painting murals as a way to not have to get a"real" job and be my own flexible boss. I studied books by other mural painters and taught myself how to paint the trial and error way. 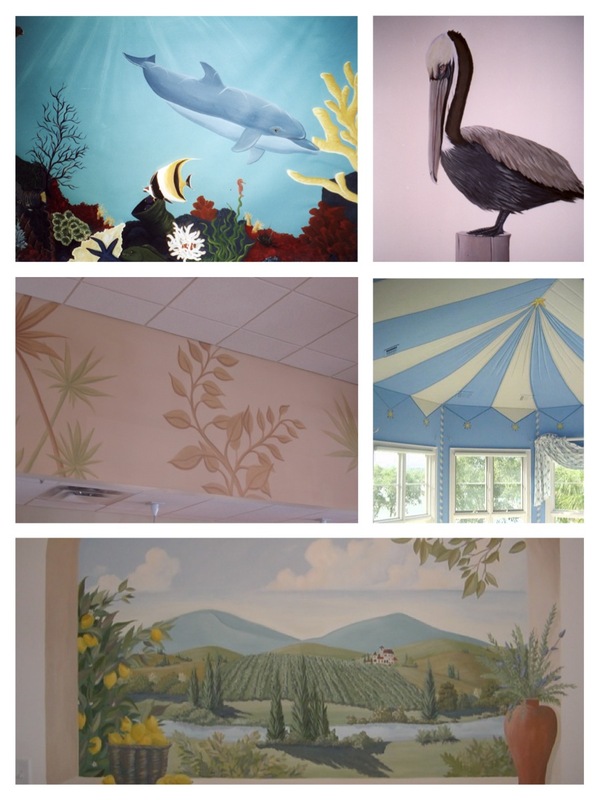 I painted a lot of children's rooms and restaurants. When I decided to have a baby (5 Years ago) I knew I wanted to stay home with my child so I decided to start painting on canvas instead of doing murals on site. Then ETSY came along which has been a wonderful outlet for my art. I was so honored to have NBC's show Parenthood purchase my art for their set. I get a kick out of spotting it on the show. As an artist it gives you a little validation when something like that happens. I still have a lot to learn and am enjoying every minute of it. I try and make sure I study a lot of good artists to keep me inspired. If you keep on checking in you will see that I feature a lot of great artists on this blog. 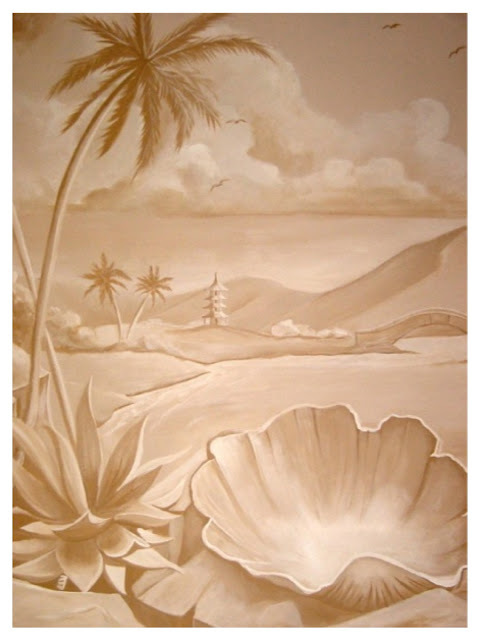 Below are a few of the early murals I have done and check out some of Carol Marine's demos on youtube. Thanks for sharing Carin! Very interesting. You are so very talented!